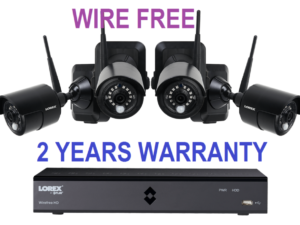 Confidently protect your property with this Nocturnal security camera system from Lorex. 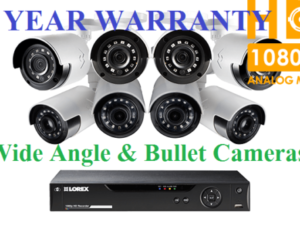 It combines our powerful 16-channel NR900 Series NVR (Network Video Recorder) with eight bullet and eight dome security cameras from our brand new Nocturnal product line. Distinguished by their all-black, vandal resistant metal exteriors, the Nocturnal cameras included here offer 4K resolution recording, long range color night vision, extreme weather durability, and much more. 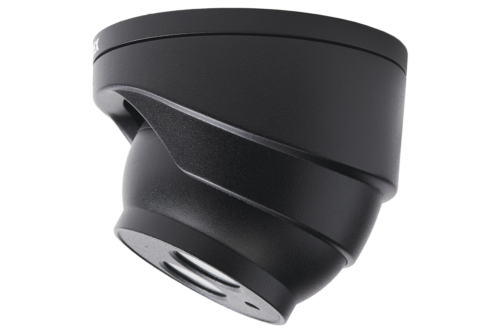 The nocturnal dome cameras even come with a built-in mic for a whole new level of audio security coverage. 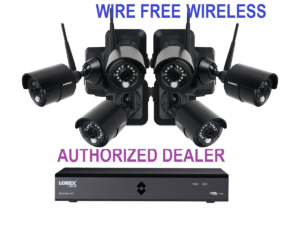 These cameras are easily connected to the NVR with a single cable run, making for a simple and clutter-free installation. 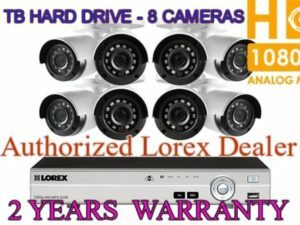 With a total of 16 security cameras on your side, you can be assured that your home, business, or commercial property is secure. A cutting edge 8.51 MP image sensor is at the core of your Nocturnal security cameras. Capable of recording 4K resolution video, this sensor will provide you with the best chance to capture the distinct details (such as facial features or license plate digits) that you require for evidence should an incident ever occur on your property. Why is 4K resolution so important? 4K resolution recording is especially important for security monitoring. This is because 4K resolution contains 4× the amount of pixels compared to 1080p. A higher pixel count such as this results in a much higher quality of video, with sharp definitive lines that distinctly outline every object and feature. It also allows for better digital zooms when you need to examine key moments in your footage. In other words, specific details will remain visible for longer as you zoom in further and further simply because there are more pixels available. The included Nocturnal bullet and dome security cameras both come with high powered infrared LEDs that let them see in total darkness. With the help of some ambient lighting, the night vison range for these cameras can reach up to 200ft! During the day, an Active Mechanical Lens Filter (otherwise known as an IR Cut Filter) will prevent UV and infrared light rays from entering the lens. This makes sure that these types of lights won’t cause any discolorations or distortions of the video. The filter will then automatically disengage at night, allowing the infrared light into the lens. You can choose to record these Nocturnal cameras in 4K at 15 FPS (frames-per-second) or at a real-time 30 FPS rate in 2K. Ultimately, recording 30 frames-per-second will provide you with exceptionally smooth on-screen movement, and grant you with more frames to choose from when cycling through footage. Differing lighting conditions within the same scene (such as an indoor camera that can see outdoors) is not an issue for your Nocturnal security cameras. They use an HDR (High Dynamic Range) feature that uses the differencebetween the brightest point and the darkest point of the video to automatically adjust the picture’s brightness. 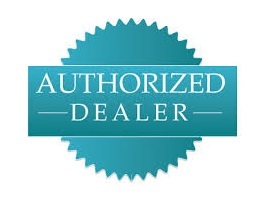 This results in optimized, highly-detailed security video in all sections of the frame. 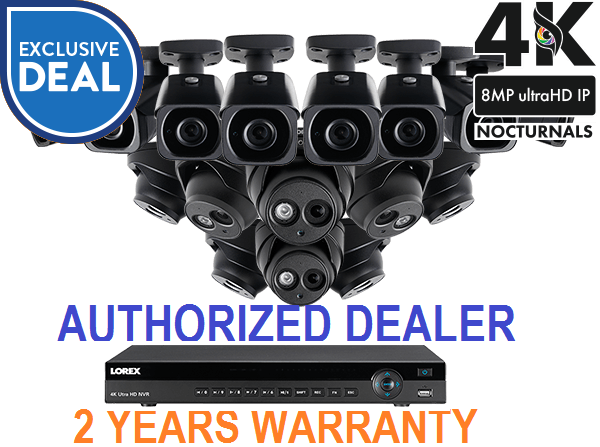 Nocturnal security cameras deliver clean, accurate video with exceptional clarity and sharpness thanks to their 3D-DNR (Digital Noise Reduction) technology. This feature filters out digital noise from the video, eliminating graininess, as well as any noise caused by motion. There is a built-in microphone within your eight Nocturnal dome security cameras. * Audio monitoring will provide you with more information (such as voices) and can help you to interpret events (even if they occur off-screen). Feel free to install your Nocturnal security cameras outdoors. They are rated IP67, which is the highest environmental rating available. Both the bullet and dome cameras in this security system are housed in aerospace-grade aluminum. This means that they can last for years and years, even if they are directly exposed to intense weather conditions. Easily connect this Nocturnal security system to our innovative FLIR Secure app for your mobile devices. Securely view your security cameras from virtually anywhere in the world, keep track of all motion activity with easy-to-read timelines, and receive push notifications for motion-triggered events with the help of this app. You will also be able to turn a camera on and off anytime you wish (a first for NVR security systems) using the new privacy feature. The FLIR Secure web viewing portal is also available for PC and Mac personal computers. Power-over-ethernet (PoE) technology is an all-in-one solution that cuts cost and installation time. Thanks to PoE technology, each security camera only needs a single Cat5e ethernet cable to connect it to the NVR. This cable provides video and audio transmission, power to the camera, a stable network connection, and installation flexibility up to 300ft (as the camera does not need to be plugged into a nearby power source). A 3TB security grade hard drive comes pre-installed within your NVR. This hard drive is specifically engineered for security purposes and can continuously record footage without a break. If desired, you can install two 6TB hard drives within this NVR for a total of 12TB. Now you can customize each camera with a different recording mode. This allows you to program some cameras to record continuously, some cameras to record only at night, while other cameras will only record when motion is detected. If you wish to only record motion events, there is no need to worry about missing those first vital moments. The NVR includes a pre-recording function that goes back to record the five seconds before the motion was even detected. Both sets of cameras and the NVR included here use HEVC compression technology. HEVC stands for High Efficiency Video Compression (also known as H.265 or MPEG-H Part 2), and is used to compress video file sizes without any noticeable difference in quality. This lets you keep the 4K footage without the 4K file sizes. Sometimes there will be areas within a camera’s field of view that you simply do not want it to record. Thankfully, you can use your NVR to literally mask out these sections by drawing a square or rectangle over these areas. This is especially useful if one of your cameras can see inside of a window, for example. The NR900 Series NVR included in this security camera system is designed to automatically update its firmware (internet connection required). These updates will continually ensure that your system is up-to-date and protected from any new vulnerabilities. 6. Both firmware and software must be updated to latest version to ensure remote connectivity. Firmware updates are pushed to the NVR automatically over the Internet. Always update to the latest software after upgrading the NVR firmware. 1. For the most up-to-date list of compatible recorders. 4. You must connect the camera to a supporting H.265 NVR to take advantage of H.265 compression. For instructions on enabling H.265 compression.